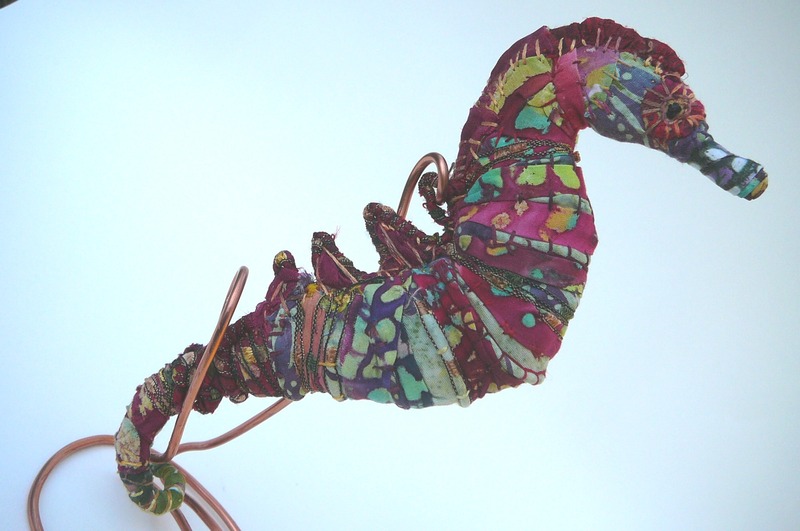 I’m continuing to create seahorses in a multitude of colours and designs and am primarily using fabrics I bought in Hawaii when I first saw seahorses there at the Ocean Rider seahorse farm. I am also reading a book about these enigmatic little fish called “Poseidon’s Steed” by Helen Scales which is a wonderfully elegant yet hard hitting book about oceans, the seahorse and humanity. All the reading and art around seahorse has even led to them showing up in my dreams.